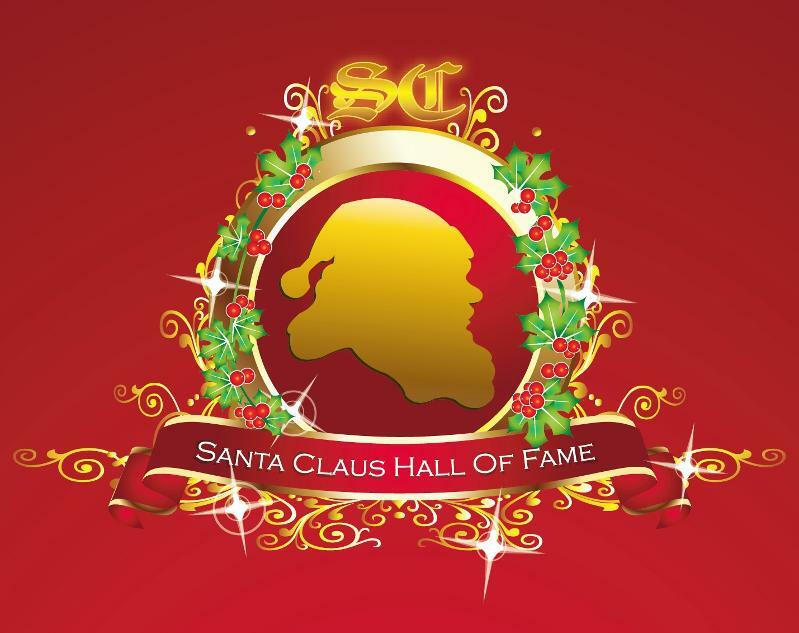 If you’ve been keeping up here at the Yule Log, you will remember us introducing you to the International Santa Claus Hall of Fame. The purpose is to preserve and honor those who have greatly contributed to the Legend of Santa Claus. The first class of honorees was names in 2010. Fourteen men served as charter members to the hall. Today we look at three honorees of note. Bill Strother, the Miller & Rhoads Santa, did his work at the famous department store in Richmond, VA. Born in 1896 Strother started his career as a stuntman. He started as Santa at the legendary store in 1942. He took the role seriously. His makeup was created by Max Factor himself and was incredibly realistic. It took 2 hours to apply. His Santa display was a real act. He arrived by coming out of a chimney. He used a concealed microphone with his assistant to learn the names of the kids before they got to his lap. A news article in 1951 reported that he was the world’s highest paid Santa. Tens of thousands of kids, and adults, would visit him until his untimely death in 1957 in a car accident. Edmund Gwenn was the jolly Santa in the Hollywood classic, Miracle on 34th Street. Gwenn was born in 1875 in Wales. His father kicked him out at the age of 17 when he reveled that he wished to be an actor. Gwenn found his way to London where he was lucky to be discovered by George Bernard Shaw. Shaw would feature Gwenn in six of his plays. The actor would take a break from the stage to serve in the army during World War I. After the war he moved to Hollywood and found work in many films. 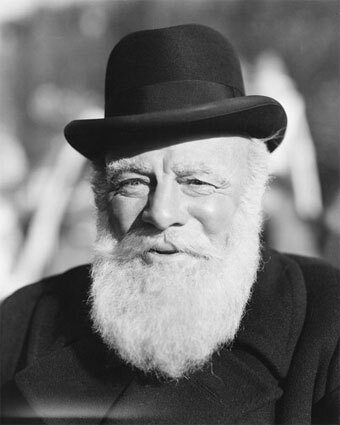 He iconic role in Miracle landed him an Oscar in 1947 for playing Kris Kringle. Gwenn played Santa in the actual Macy’s Thanksgiving Day Parade in 1946 and 1947. 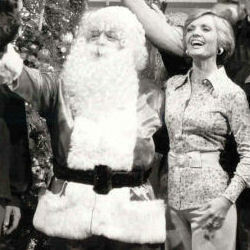 Robert George was known as the Presidential Santa. George was born in 1928 in Nebraska and worked as a barber. In 1949 George had a vision that he should live as Santa Claus. After the vision he began living as Santa year round. His first Christmas after that he spent the holidays being Santa for needy kids and sick seniors. Fate seemed on his side when he was invited to be Santa in Washington for President Eisenhower. In 1962 George moved to California. He married Stella Chaney, daughter of screen legend Lon Chaney. Their home was decorated year round for the holidays and was known as “Santa’s Dreamland”. 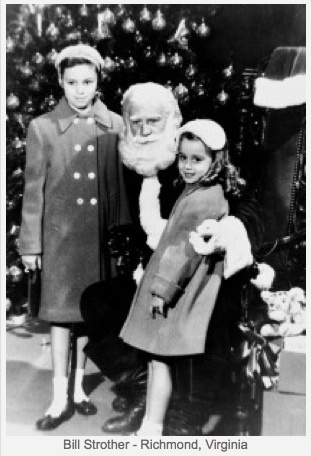 His role as Santa in Washington continued for Presidents Kennedy, Nixon, Ford, Carter, and Bush. In 1997 his life was the basis for the Lifetime television movie “A Different Kind of Christmas”. George passed in 1998. There are so many great men, and even a couple of women, in the Hall of Fame. Keep checking back for more about the most interesting ones in the coming weeks. England has the distinction of issuing the first pre-paid adhesive postage stamp, in May1, 1840, with the official circulation date beginning 173 years ago today, May 6. The “penny black” had a portrait of Queen Victoria. The black color of the stamp proved to be problematic because it was difficult to see the cancellation marks, so the next issued stamp was the Penny Red. At that time, the United Kingdom was the only country using this type of stamp, so there was no need for the country of origin to be printed. Fast foward to the 20th century, with Hungary issuing the first official Christmas-themed stamp in 1943. The United States issued their first in 1962. Great Britain followed shortly thereafter with a children’s competition to design the stamps issued in 1966. Annually, the British alternate between sacred and secular themes. This year will feature a sacred postage stamp, as last year’s was designed by the illustrator of The Gruffalo, Axel Scheffler. The United States Postal Service follows a similar pattern, alternating the Christmas themes. 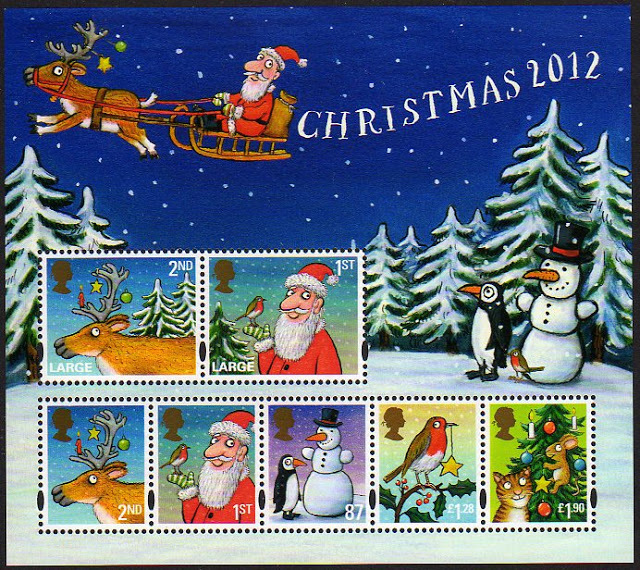 A list of the United States Christmas stamps is located here. 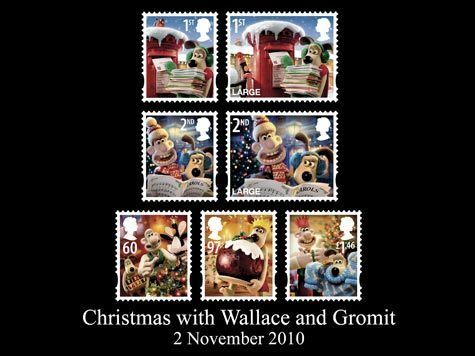 In 2010, the British stamps featured my favorites, Wallace and Gromit. Look for the announcement in late summer for both the British and American Christmas stamps 2013. I’ve included a link to Beyond the Perf, which features the American 2013 stamps already authorized and link to the British issue stamps for this year. Coincidentally? Both countries feature fast cars! At a recent party, I found myself eyeing the soda and beer bottle caps that littered the drink table. I summoned the courage to ask our hostess for the trash, and came away with a dozen or so–much to Roger’s dismay. 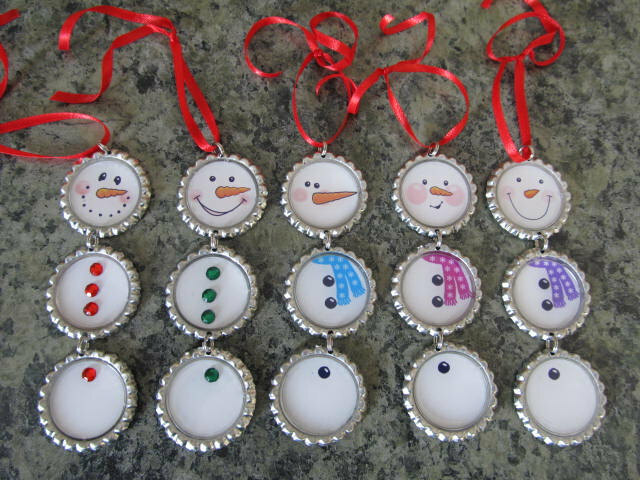 With these, I had planned to make snowmen ornaments, but a quick search yielded quite a few more possibilities. I’m excited to get started on my next “trash to tree” project. Here are my options. My basic snowman is featured on a number of blogs and websites, but I liked Shannon Makes Stuff because, in this version, two bottle caps are glued together, which gives the snowman more depth. The red ribbon to hang them is glued along the body in between the caps, probably making the snowman more sturdy. The snowmen in the photo are from an etsy site, and the Utah crafter is clearly more skilled with jewelry-making that I could ever be. These are just a suggestion of what someone with some real art skills could do. 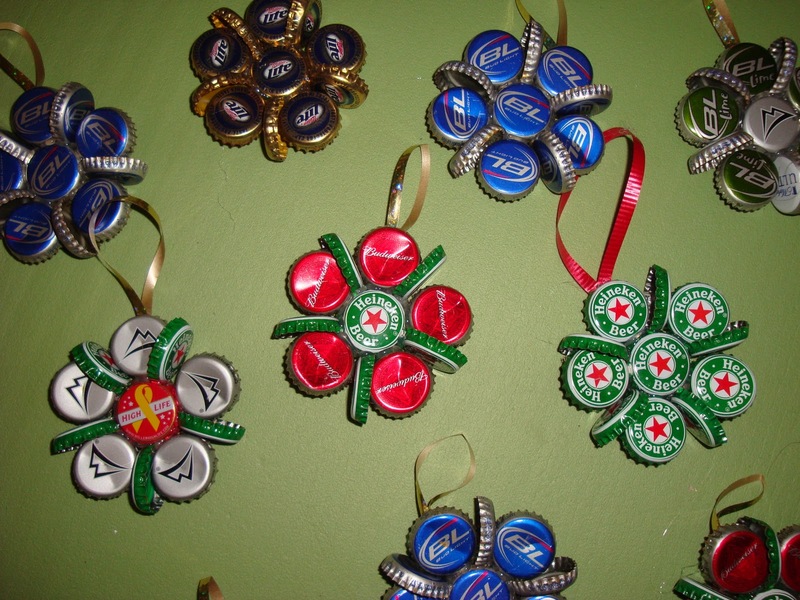 Valerie Heck featured beer bottle cap snowflake ornaments that she says were a family joke, but they were kind of cool. I saw in the comments that her mother said the snowflakes came apart, which made me kind of chuckle. It would be just like my mom to comment on my blog about which of my ornaments didn’t hold up over time. Right, Mom? 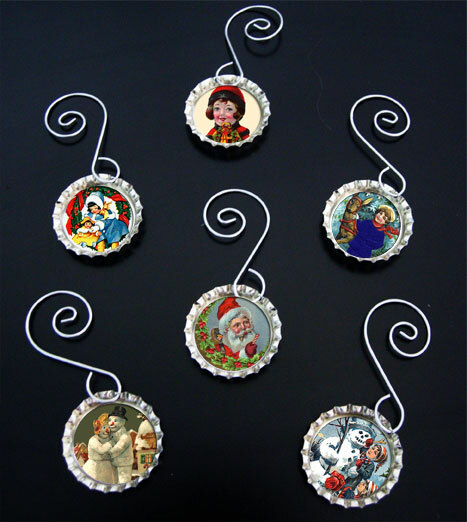 My favorite, and the most difficult to reproduce, were some Christmas ornaments that came in a kit, which depended on more advanced crafting skills, including prepared bottle caps and photo software. The result, though, is really nice. I suspect, on a full-sized tree, they might get a little lost.